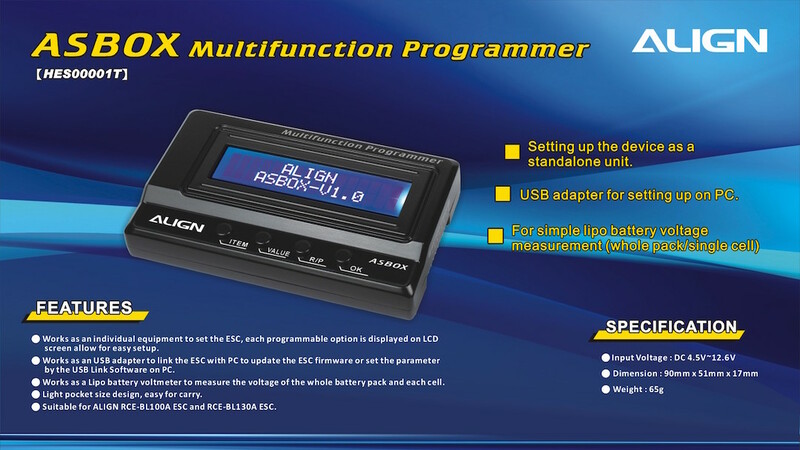 •Works as an individual equipment to set the ESC, each programmable option is displayed on LCD screen allow for easy setup. •Works as an USB adapter to link the ESC with PC to update the ESC firmware or set the parameter by the USB Link Software on PC. 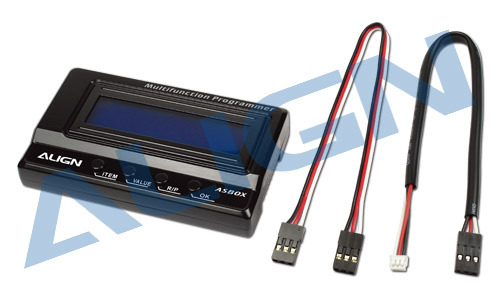 •Works as a Lipo battery voltmeter to measure the voltage of the whole battery pack and each cell. •Light pocket size design, easy for carry. 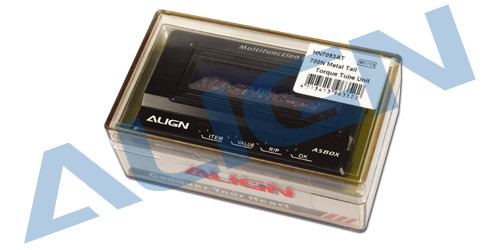 •Suitable for ALIGN RCE-BL100A ESC and RCE-BL130A ESC.